Small display basket that can be affixed to pegboard or slatwall fixtures with ease. 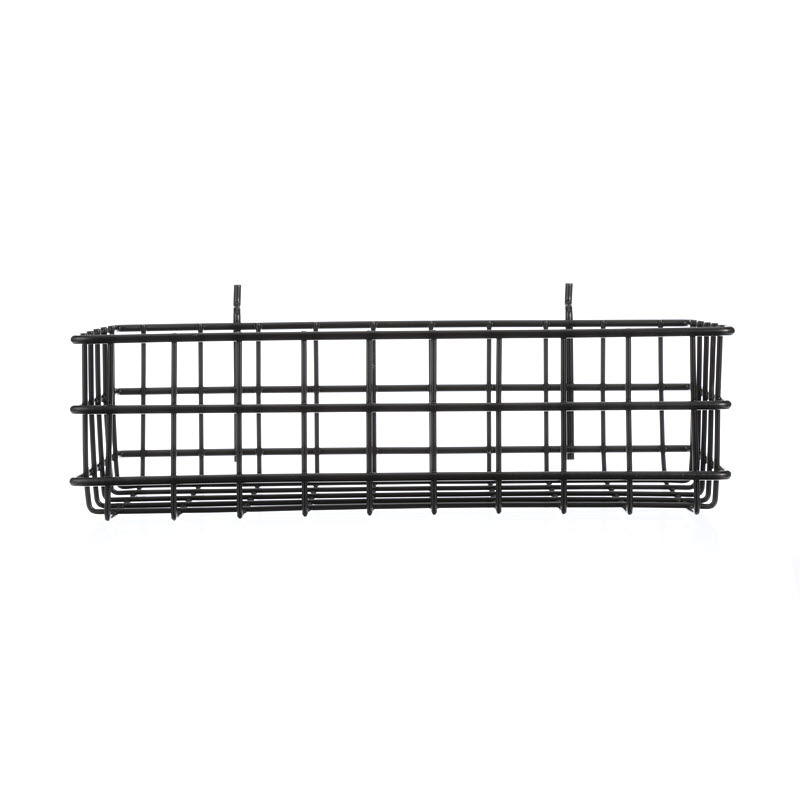 Smooth black finish provides professional display for your items. 100% USA Made. 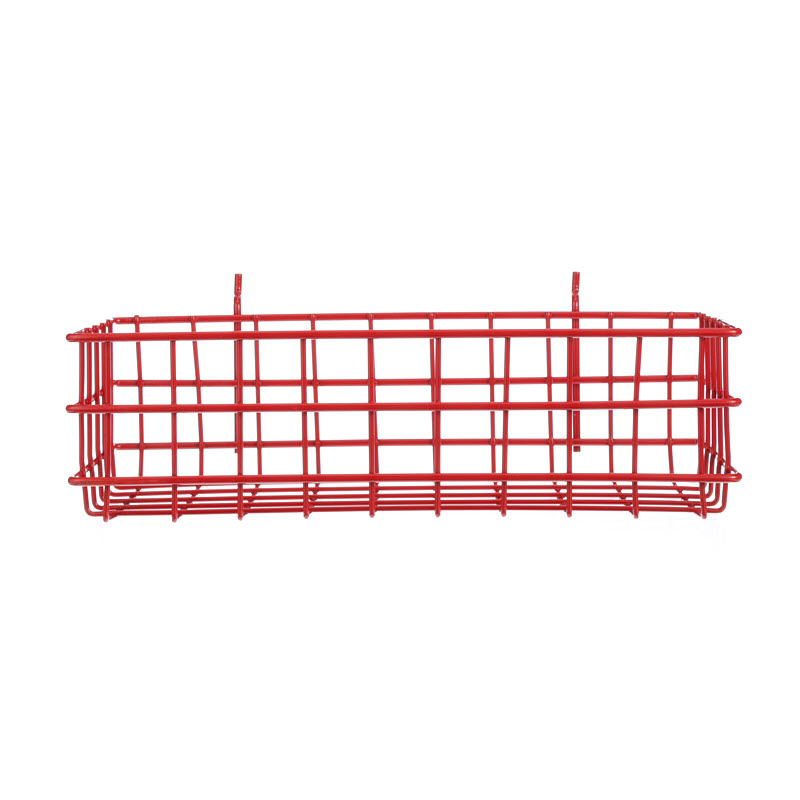 Glossy red powder coat basket designed to attach to pegboard and slatwall fixtures with ease. Built for durability and quality. 100% USA Made. 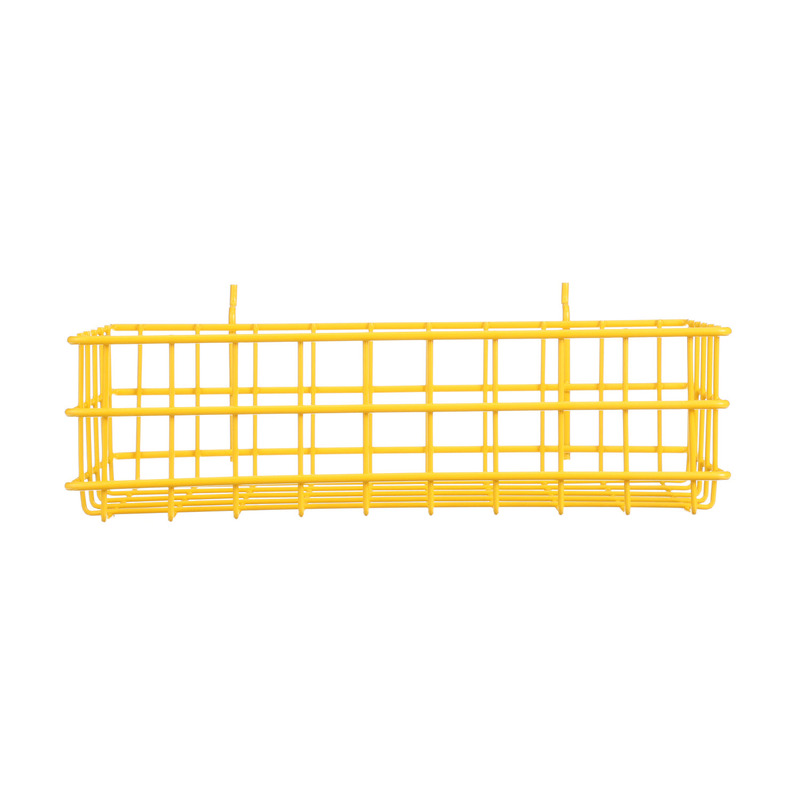 Bright yellow display basket built to attach to slatwall and pegboard fixtures with ease. Designed to draw the eye with a card slot for labeling the basket's contents. Made for durability and long useful life. 100% USA Made. Glossy blue powder coat display basket for use with slotwall and pegboard fixtures. Holds a variety of small parts for display. 100% USA Made. 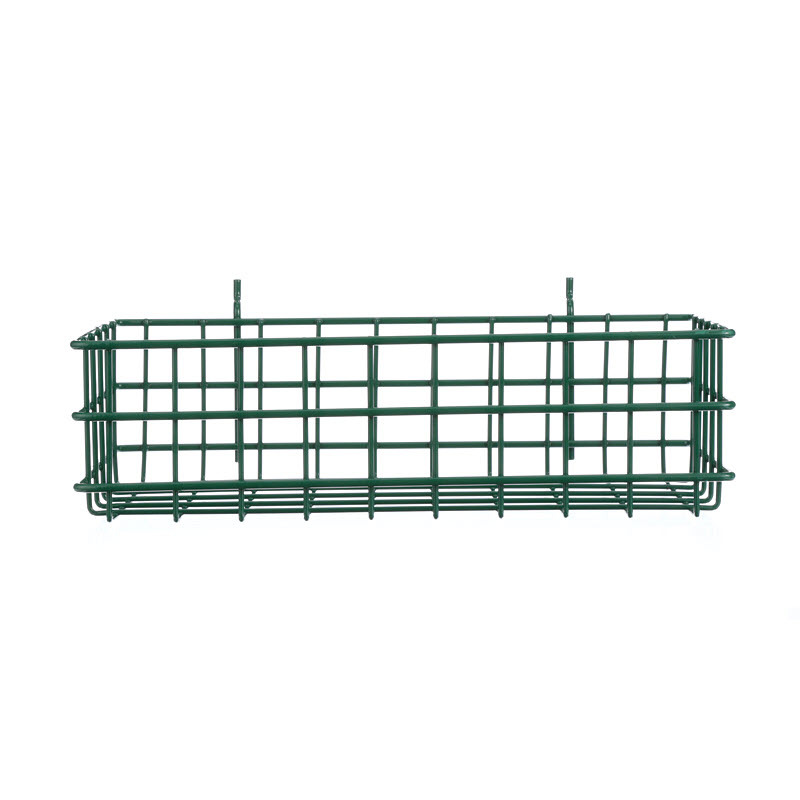 Glossy green display basket that can be mounted on pegboard and slotwall fixtures. Open design holds a variety of items with ease. Crafted to high standards. 100% USA Made. Shiny chrome basket to display your parts/products. 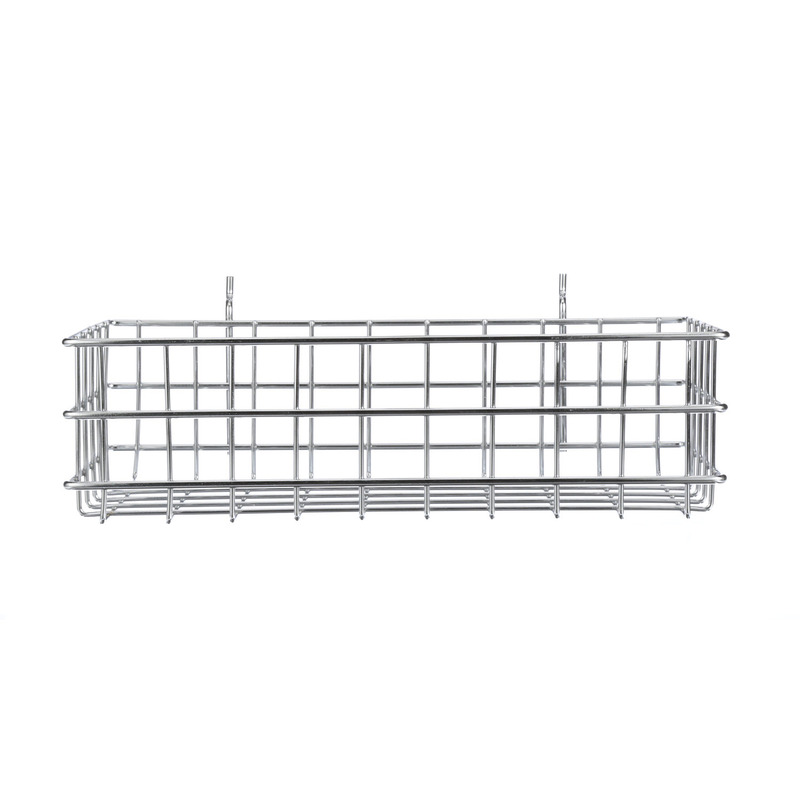 Features two pegs that allow the basket to be mounted on pegboard and slatwall fixtures with ease. Rugged construction ensures prolonged useful life. 100% USA Made.